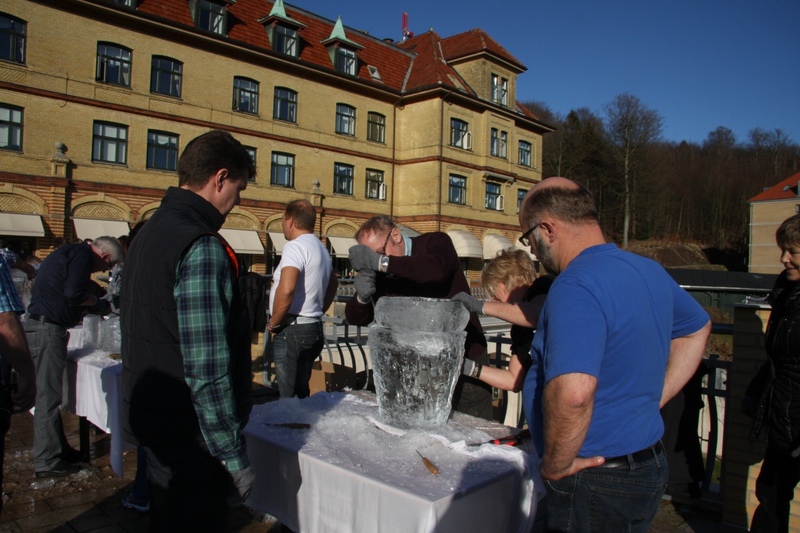 Fun with ice and you colleagues. A great way to get to know your colleagues better. We have great success with this event, where anybody can propessipate, any age will have some fun. A fun and different type of event, where there are space for the very concentrated to the more relaxed style. 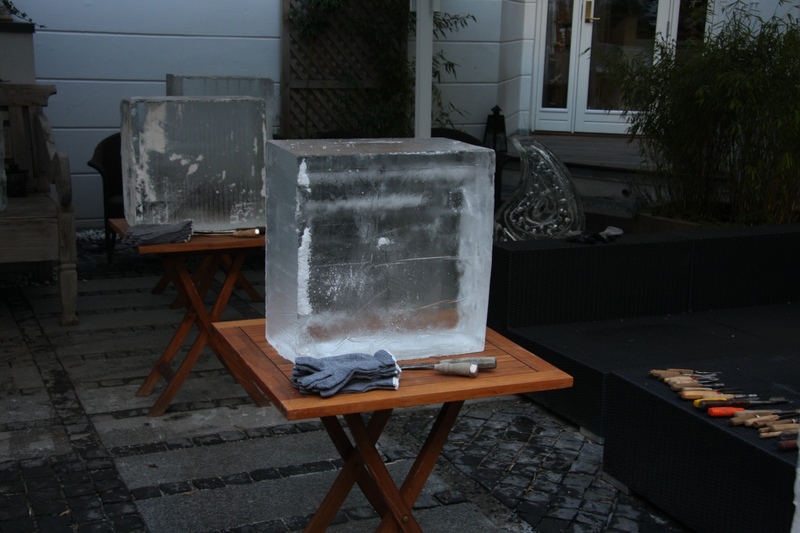 Groups of 2-3 person, each group will be provided with 1 clear ice block of 50 x 50 x 25 cm, 75 kg. Gloves and tools. The assignment could be the company’s value, free style, or any given task. 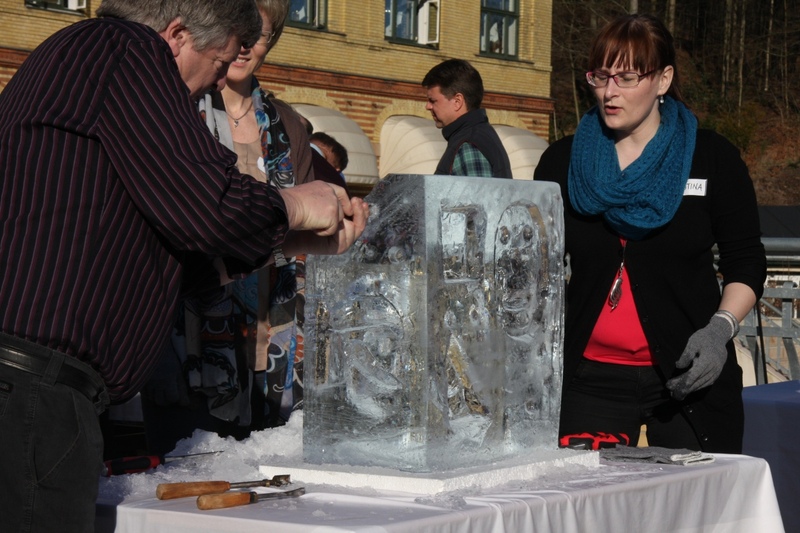 Before the carving starts, you will have a short introduction in how to Handel the ice and work in it with different techniques. Handling the tools and safety issues. Normally you will use 1 hour for this event. The sculptures can be used for decoration for you dinner in the restaurant etc. Awards can be added to the event.